Less than two weeks ago, the National Administration of Drugs, Food and Medical Technology (ANMAT) has banned dozens of cosmetic products and food for various irregularities. Now, the ANMAT reissued a provision that also prohibits the sale of many other items of cosmetic. As reads in the preamble of the resolution 2827, published today in the Official Gazette, all the products with irregularities were found during an inspection of control in the trade Tina & CO, a great local located in chinatown that offers food products, cosmetics and decoration. Among other faults, “there is found a history of entry that respond to the identifying data that had their labeled products described” and a number of them “in addition to not having a history of enrollment in health, it was not known who were the producers and/or importers and whether they had the appropriate enablement”. Theo Body Oil Biphasic Nutritional x 125 cc, www.theoweb.com.ar face: Theo – with oil of grape, wheat germ oil, oleate, chamomile and rosemary essential oil. Made in Argentina. The product is advertised “to hydrate your body in replacement of the usual cream, to the tips of the hair, for areas of wrinkles, bruises healing processes. Natural ingredients without any animal-derived”, but in its labeling lacks registration data of the product before ANMAT (reference number of the file in the manufacturing facility and Resolution no. 155/98), data of the responsible of the marketing, and the encoding of lot and expiry dates. Oli balm olive oil for lips Violet. Content 12 g, elab: 5/2015 – plant 100 % natural – olijabonesdeoliva.blogspot.com – Made in Argentina – Scanu olivicultor, whose labeling lacks registration data of the product before ANMAT (reference number of the file in the manufacturing facility and Resolution no. 155/98), data of the responsible of the marketing, and the encoding of lot and expiry dates. Bioterra make-up Remover– Jojoba oil – Castor oil – Petit Grain x 30 ml. The packaging is lacking in your labeling, data registration of the product before ANMAT (reference number of the file in the manufacturing facility and Resolution no. 155/98), data of the responsible of the marketing, country of origin, list of ingredients, and the encoding of lot and expiry dates. Cream Argentina – Argentine Cream – Moisturizing, nourishing and restorative – highly moisturizing, nutritions and repairing – Genuine Assets – natural Cosmetics. The packaging is lacking in your labeling, data registration of the product before ANMAT (reference number of the file in the manufacturing facility and Resolution no. 155/98), data of the responsible of the marketing, net content, list of ingredients, country of origin, and the encoding of lot and expiry dates. Orange blossom natural therapies – Baby Shampoo pH neutral from head to toe– Lavender-Chamomile-Calendula x 200 ml. Vegan. The packaging is lacking in your labeling, data registration of the product before ANMAT (reference number of the file in the manufacturing facility and Resolution no. 155/98), data of the responsible of the marketing, list of ingredients, country of origin, and the encoding of lot and expiry dates. Orange blossom natural therapy – Cream for hands and nails x 125 ml, silicea, oils of calendula, rosehip, almond, lemon, patchouli, lavender. Elab: 20-4-15. The packaging is lacking in your labeling, data registration of the product before ANMAT (reference number of the file in the manufacturing facility and Resolution no. 155/98), data of the responsible of the marketing, list of ingredients, country of origin, and the encoding of lot and expiry dates. Orange blossom natural therapy Cream – Calendula neutral without perfume x 50 ml, Elab: 7-10-15, contains oils of calendula – rosehip. Antiseptic – anti-inflammatory-wound healing-moisturizing. The packaging is lacking in your labeling, data registration of the product before ANMAT (reference number of the file in the manufacturing facility and Resolution no. 155/98), data of the responsible of the marketing, list of ingredients, country of origin, and the encoding of lot and expiry dates. Orange blossom therapies natural Ointment Healing x 50 ml, contains essential oils of lavender-geranium-rosemary-chamomile. Indicated for wounds, minor burns, bumps, bites, whose container is lacking in your labeling, data registration of the product before ANMAT (reference number of the file in the manufacturing facility and Resolution no. 155/98), data of the responsible of the marketing, list of ingredients, country of origin, and the encoding of lot and expiry dates. Herbs&Essences bath salt– orange – sea salts aromatized with AE, cont. net 350 grs, E. Elab N° 586, L 08, V 08/16, whose container is lacking in your labeling of the data of registration of the product before ANMAT (Resolution no. 155/98), list of ingredients, the details of the responsible of the marketing and country of origin. Etnika By Clear Pollach -gourmet – almond – Milk cleaning , V: 9/16, whose container is lacking in your labeling, data registration of the product before ANMAT (reference number of the file in the manufacturing facility and Resolution no. 155/98), data of the responsible of the marketing, net content, list of ingredients, country of origin, and batch number. Rucawillcu natural Product of the Andean Patagonia – Mauve pañil and cypress. Daily use. Emollient/ anti-inflammatory/ skin conditions/ analgesic and soothing, Vto: OCT 2016, M. S and A. S Res. 156/98 – Leg. 3729. The packaging is lacking in your labeling of the data of registration of the product before ANMAT (Resolution no. 155/98), data of the responsible of the marketing, net content, list of ingredients, country of origin, and batch number. Licina Snail Damaris– Cream is stabilized in concentrated protein snail, Vto. 29/05/2017, Lot: 25, detailing in its primary packaging the data “moisturizing Cream with licina spiral Damaris x 50 grams, revitalizes the collagen and prevents the formation of wrinkles, rounds out the existing. MS and AS 337/92, Est. Elab. 1780, Industria Argentina”. The packaging is lacking in your labeling the data of the responsible of the marketing, and the list of ingredients. 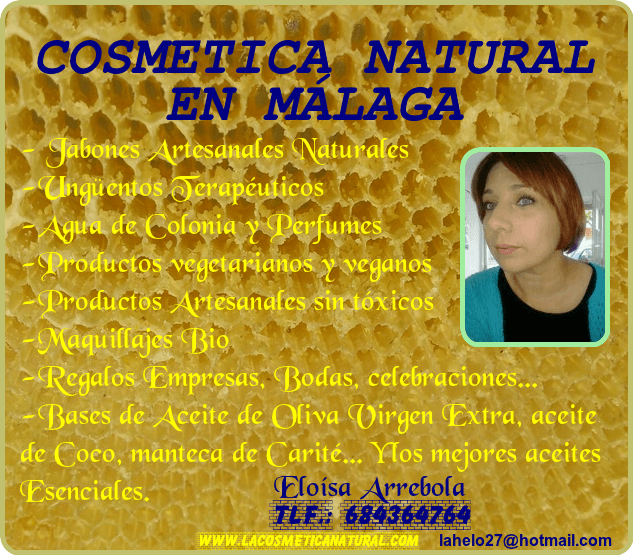 Argan d Leviteé Argan Oil – nourishes and hydrates the skin – liquid Gold – 100 % pure and natural – 1° pressure cold x 30 ml), Expiration Date: 16/0/2017, Distributed by Global Power S. L. – Avenida Juan Pablo 1° Ed. Garden of the boat – Almuñecar Granada CP 18690, Spain. Dealer: [email protected], Tel: 15654337626, whose container is lacking in your labeling, data registration of the product before ANMAT (reference number of the file of the establishment importer and Resolution no. 155/98), list of ingredients, country of origin, and batch number. God bless you teeth Cleaning – healthy teeth and gums x 50 ml. Recipe magisterial antibacterial for healthy teeth and gums, prevents gingivitis, heals the gums, whitens teeth, fights the bacterial plaque. Be Care Full. Origin Argentina – Packaging hand-made by God Bless You-Vto 5/2017”, whose container is lacking in your labeling, data registration of the product before ANMAT (reference number of the file in the manufacturing facility and Resolution no. 155/98), data of the responsible of the marketing, list of ingredients and batch number. Splash me – Butter Feel Effervescent Tablet– Mango Butter, Shea Butter and Coconut Oil – aroma mango – Bel-lab Natural Cosmetic Industry in Argentina Cont. net 10 gr, [email protected], www.bel-lab.com.ar Congress 1590 8A – CABA. The packaging is lacking in your labeling, data registration of the product before ANMAT (reference number of the file in the manufacturing facility and Res. No. 155/98), and the encoding of lot and expiry dates. Collagen Skin Renewal Mask L affair, 3 step. Rainbow Beauty USA/CHINA/KOREA, Made in Korea. L 4JJF V 20171005. RAINBOW 3 step mask packs. Step 1: cleansing foam facial. Step 2: blister high functional. Step 3: mask skin renewal. Origin South Korea. Valid date: 05/OCT/2017 cont. net 25 ml. The packaging is lacking in your labeling, data registration of the product before ANMAT (reference number of the file of the establishment importer and Resolution no. 155/98) and data of the responsible of the marketing at the national level. Hand cream-natural aloe moisturizing & soft -lift care – natural perfume – Dabo eco life style x 100 ml. Dabo Natural Aloe Hand Cream (aloe / natural, hydrating, and gentle. Origin: South Korea. Valid date: 04/JAN/2018, DAL2F, whose container is lacking in your labeling, data registration of the product before ANMAT (reference number of the file of the establishment importer and Resolution no. 155/98) and data of the responsible of the marketing at the national level.